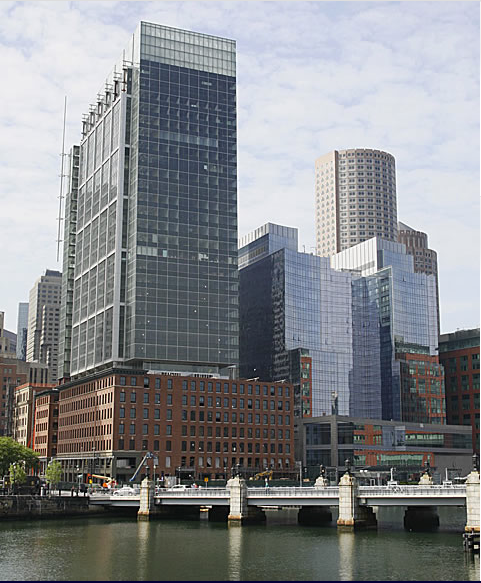 For the past six years, Brightcove has been headquartered in Kendall Square near the MIT Campus in Cambridge, Mass. While we love the location, we've outgrown our space and today announced plans to move into an amazing new facility on Boston's waterfront. 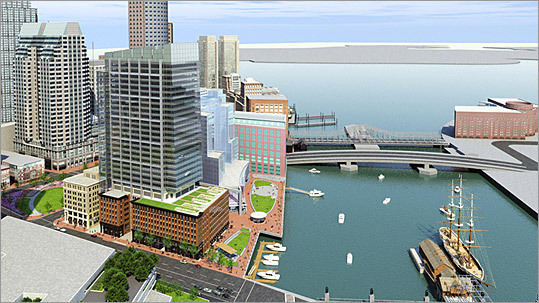 Boston's newest tower and first LEED certified "green" skyscraper, the Atlantic Wharf building, is located between the new Rose Kennedy Greenway and historic Boston Harbor. Brightcove will occupy two floors in the new building (82,000 square feet) to accommodate our expansion and house an attractive, collaborative work environment for employees. Steps away from water taxis and harbor ferries, a block from the South Station T-stop and Amtrak station, and 15 minutes from Logan airport, Boston's new headquarters will be an easy commute for employees and bustling hub for visitors from around the world. We're growing fast and have 25+ job openings. If you or someone you know is interested in a challenging, rewarding career working on software product that will help define the future of digital media distribution, please take a moment to check out the careers page on our website. Boston Globe: "Brightcove Joins Move to Boston Waterfront"
Boston Business Journal: "Report: Brightcove Moving to Boston from Cambridge"